Voting has now closed. Thanks so much for taking part, and stay tuned for the full results! Every year, Anime UK News publishes a Year In Review article, focussing on the best anime, manga, and light novels of the last 12 months, as chosen by our expert editorial team. This year, we’ve decided to go one step further: We’re introducing the Anime UK News Reader’s Choice Awards, a search for the very best anime, manga, and light novels of the year, chosen by the most important part of Anime UK News: You. Based on input from our staff and community, we’ve compiled 18 categories encompassing the entire UK anime, manga, and light novel industry – and every single one will be decided by popular vote. Voting opens today, and will run for two weeks, until midnight on the 15th of January 2018. Voting is open to everyone, even if you’re not already a member of Anime UK News. All questions are optional, and you may fill in as many or as few as you wish. The one exception is the identification question at the end of the quiz, which is mandatory for verification purposes. Most questions have a write-in option, which can be used by clicking “Other,” typing the full name of your nomination, and then clicking the tick to finalise it. The winners of each award will be announced within two weeks after voting closes on the 15th January 2018. Only one vote will be accepted from each person. If duplicate entries are found, only the latest will be counted. Entries may be rejected at the discretion of the judging staff, for the explicit purpose of ensuring the awards are representative and fair. All decisions regarding the authenticity of an entry will be final. And with all that, it’s time to go vote! 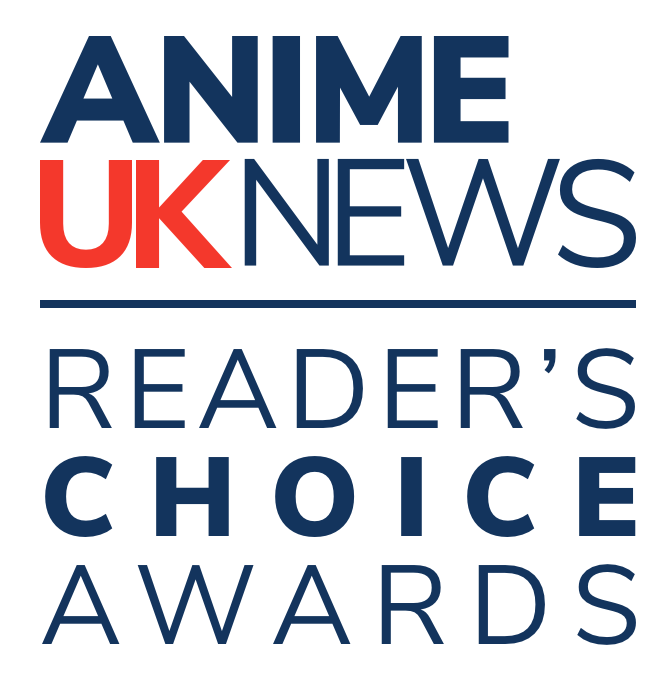 Click the big red button below and let us know your picks for the Anime UK News Reader’s Choice Awards! If you go through the survey and spot any errors, let us know by contacting us via Twitter, our forums, or our Discord server, and we’ll see what we can do!